The 2015 budget proposes a reduction in tax rate by 1.5% for small businesses (<$2mn) and an immediate tax write-off for individual assets that cost less than $20,000 apiece. This will provide a fillip to small businesses that increasingly turn to digital for visibility and automation. Tech start-ups that are a sub-set of the small business community may also benefit through these incentives. The budget attempts to deter families (via penalties) from accessing both government and employer parental incentives adding to the burden of families already struggling with childcare costs. More needs to be done to facilitate the re-entry of highly experienced digital women back into the workplace. An industry synonymous with long hours and that already struggles with high churn rates and a shortage of talent must work with the larger business community to find work-family life balance solutions. Eligible start-ups can now offer employees share options that will be taxable only at sale. Start-ups can now use this as a sweetener to attract talent and also as a motivator to retain existing employees. Changes to tax laws mean anyone on a working holiday visa will now have to pay tax from their first dollar earned, rather than their first $18,200 of earnings being tax-free. Many overseas digital specialists are usually on these visas when they first join Australian companies, a situation that works well for both parties. Local companies can fill vacant roles quickly and the candidates get to audition their skills in the hope of getting a permanent work sponsorship before their working holiday visa runs out. 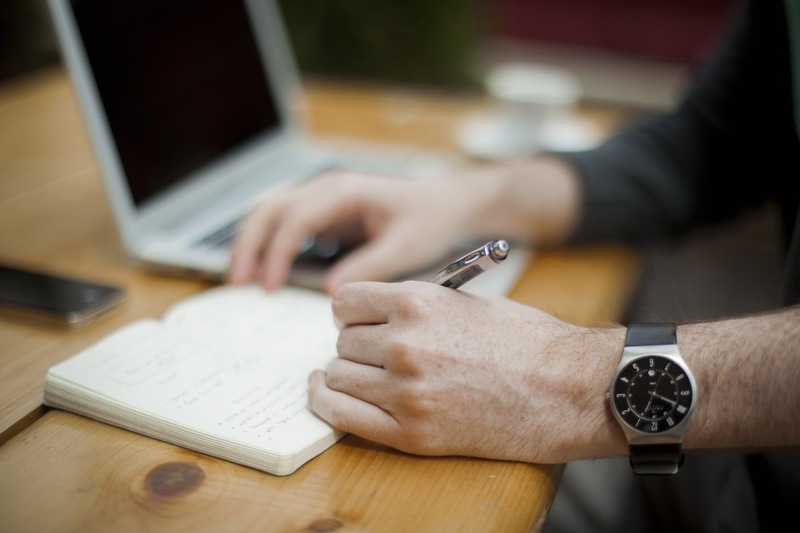 New tax initiatives for startups were announced, specifically around crowdfunding. $7.8 million over four years will be spent getting the Australian Securities and Investments commission to work up and implement a new regulatory framework for crowdfunding money raised by startups. This is a step in the right direction and will hopefully offer a simplified yet more varied funding landscape for start-ups. The above piece is of a general nature only reflecting the personal opinion of the author and must not be construed as professional financial or tax advice. Every marketer recognizes that Word of mouth conversations are the holy grail of advertising, helping to amplify paid campaign buzz and give messages longevity far beyond booked media schedule periods. A new study on Googles Think Insight website explores the relationship between the Internet and WOM conversations. 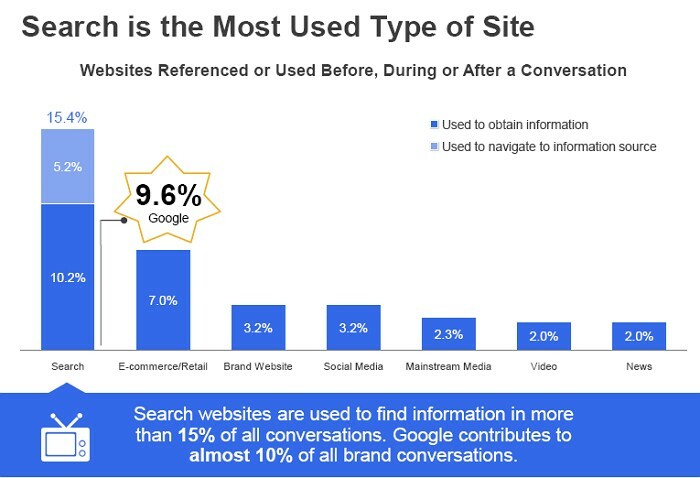 Not surprisingly, the study emphasizes the role of search at all stages of conversations. 2. WOM impressions generated by search are 27% more credible and 35% more likely to lead to a purchase decision, compared to online or social media. 1. Increase SEM budget before and during a new campaign to capture impressions at all stages. 2. Bid on campaign related themes and words. 3. Send traffic to a microsite or YouTube channel so users can get more information (prices, buying locations) and continue discussions online. Have you used search to capture incremental campaign related queries? Please share your experiences with us in this blogs comments section. LinkedIn grows to 100mn user base. 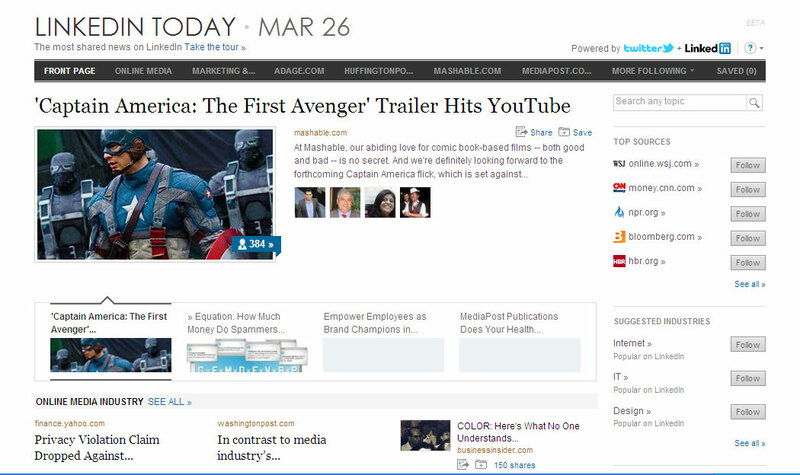 Launches LinkedIn Today personalised news site. 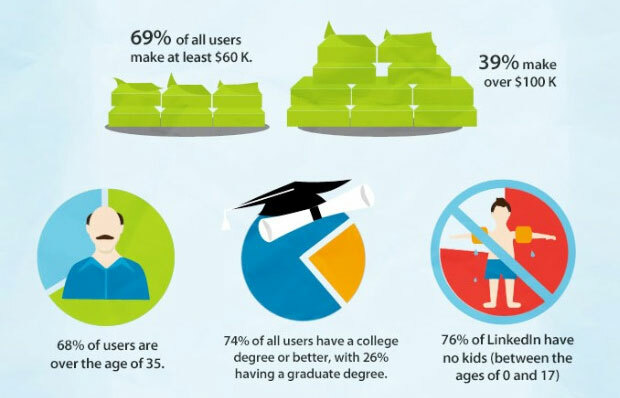 LinkedIn the business networking website crossed the 100 mn subscriber mark this week (1mn+ in AU), and released an interesting infographic about its demographics. The user base appears to skew towards middle to senior management in the 35+ age group, perhaps looking for career advancement by leveraging their networks connections and recommendations. The site has graduated from being a pure networking website to being more like a business version of Facebook complete with Likes, Shares and Status updates. You can also link it with your Twitter account to share all or selective tweets with your LinkedIn connections. I don’t spend a lot of time on LinkedIn but most of my current or past business contacts are connections and it allows me to keep track of what they are up to. Most people seem to think of LinkedIn only when they are job hunting or during uncertain times which is probably why its member base increased strongly during and since the GFC crisis. In an attempt to make itself more a part of people’s daily routine like a real social network, the site launched LinkedIn Today a personalised news aggregator site. The new feature can be customised to suit your needs and you can also share or save articles for later. I like to think of it as my personal newspaper as I can pick industries and news sources to follow from the intuitive suggestions the feature recommends for me. The template has made it easy for me to scan the tech headlines that made news overnight in the US since I’m in Australia. It puts all the top news above the fold, and my chosen industries and content sources as separate sections on the top menu (screenshot below). LinkedIn Today is less cumbersome than scrolling through a long list of tweets in a Twitter app on my smart phone every few hours. At the very least it’s definitely a complimentary tool to Twitter lists and Google alerts as a news aggregation service. Have you used LinkedIn Today and how do you think it compares to other news monitoring tools?